Seems like toxins are everywhere. They’re in our environment, they’re in our thoughts and sometimes they are the people around us. And who wants to be around toxins? The good people at Merriam-Webster.com define toxin as “a poisonous substance and especially one that is produced by a living thing.” Read on for ideas on removing toxins from your life. Our environments are filled with toxins, it’s hard to escape them. Every day we hear about toxins in our air, water, and food. But have you considered the toxins in your own home? Many of the materials used to build our homes release toxic substances into our home environment. This is known as “outgassing” and it can continue for years after the home is built. New materials added in renovations like carpet, hardwood or engineered flooring, paint and kitchen cabinets will prolong the exposure to toxic substances. This means we are breathing in toxins in our sleep! Our homes are our sanctuaries, so it’s important to limit our toxin exposure at home. 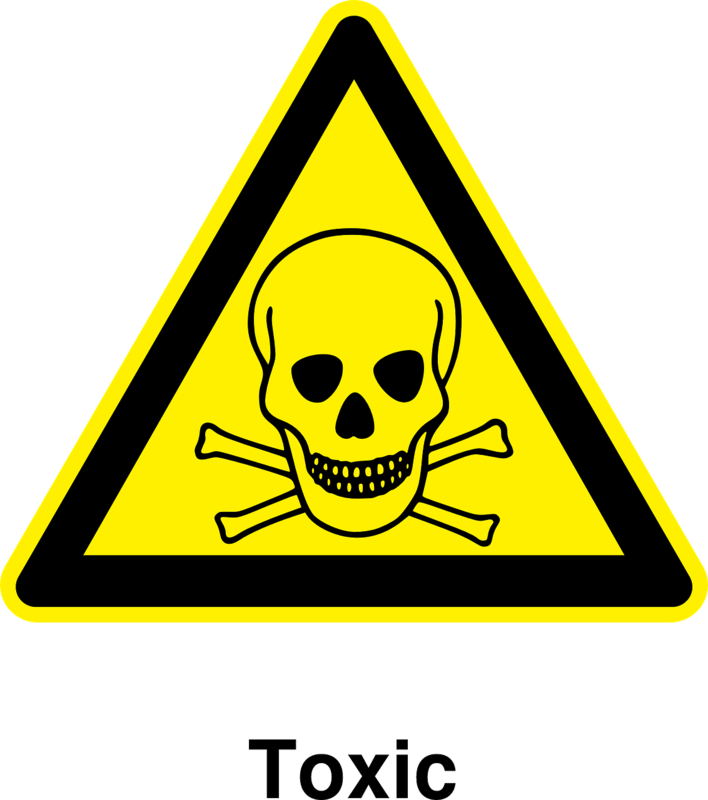 Have you considered that many of the household and beauty products used in your home daily are also toxic? Sure, we consider bleach and ammonia to be toxic, but what about your shaving cream or hand lotion? Your laundry soap or your expensive face cream? Your toothpaste or your sunscreen? What are you using to clean your house and yourself and your children? Are you sure it’s safe? Young Living Essential Oils is a wellness company that provides products for household and personal use without toxins. Who loves the fact that we can clean without toxins, care for our garden without toxins, and use personal care products without toxins in them? I do. Most people use personal care products. Most people clean. Most people would prefer to avoid toxins. Young Living has an answer. Toxic thoughts are so common that we don’t even recognize them. Every thought that we allow to take root in our minds and our hearts has an effect on us. Sometimes we don’t see the effect until it’s too late. This LifeHack article has a great list of toxic thoughts. But once you’ve identified the toxic thought, how do you get rid of it? First, you have to realize that you are not responsible for every thought that drops into your mind. You are, however, responsible for every thought that you allow to stay there and take root. The Bible calls these toxic thoughts that have taken root in our minds “strong holds.” (2 Corinthians 10:4). The next verse tells us how to deal with them: we are to cast them down and lead them away to Christ. This takes action on our part: we must recognize the thought for what it is (toxic) and cast it down. We must not allow it to stay. However, when you remove a thought, you must replace it with another one, or it will come back. Our minds can’t be empty; there can’t be a vacuum. There’s a principle in the Bible called “put off – put on.” You must put off the negative before you can put on the positive. We must send away the toxic thought and replace it with a thought that is alignment with Christ. Toxic people is a fairly new concept. Not that toxic people being around is new, just that we as a society recognize them as such. Toxic people are negative people who drain the life and joy out of the people around them. We all know (or knew) someone like that. We all secretly wish that person wasn’t in our life. But often, we suffer in silence. It’s very important to remove from your life anyone who is using you or hurting you. The first step is to recognize what is happening and make a decision to change it. Establish boundaries with these people. Tell them what the consequences will be if they violate those boundaries. You will have to learn to say no. I didn’t say it would be easy, but it will be freeing when you finally do it. Get support if you need it. Surround yourself with people who will lift you up and encourage you, who will support your dreams and goals. You deserve to be happy. Removing toxins from your life will benefit you greatly, making it possible to live the life you deserve to live! We see articles about environmental toxins frequently, but I love how you took a different, more comprehensive approach to toxins in general. There are solutions, protectants and strategies to deal with them all — as you’ve laid out in your post. Good info, Carol! I also like natural products. Oddly, some say they don’t clean as well as those intense chemcials we’ve used for decades. Not worth it! Toxin cleanses are great! The thing about natural cleaning products is that you have to let them sit a little longer, but I find they do the job just as well. Like you Carol, I am very conscious of everything in my environment and that includes what I put in my body and what I bring into my home. We are being bombarded daily with so many unseen toxins and as the team I am part of shares with people, there are something like 72,000 chemicals that have been introduced into our world since WW2. Very scary indeed. You and I are very much on the same wavelength in wanting to educate people and offer solutions, providing awareness, so people can take responsibility for themselves and their lives. Thanks for the lovely and informative post. You are most welcome, Beverley. Thank you for the kind words. I went through a process of removing toxic people from my live and I’ve never regretted it. We only live once and life is too short to be surrounded by the “garbage” with people and with food. Wouldn’t a toxin-free life be wonderful! There are some excellent strategies for removing many of them. It’s sad that we have to monitor our cleaning materials for toxicity but it is important as are the other tips. Yes, we do have to be vigilant. 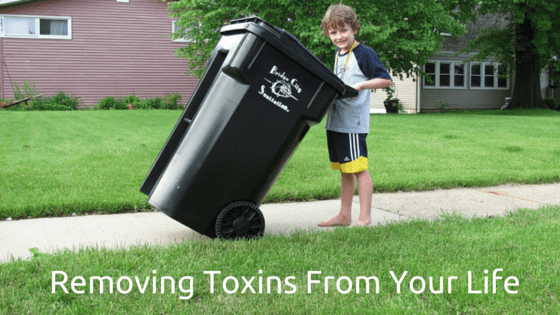 Great article on removing toxins from all aspects of life! They can be so draining and damaging in so many different ways. Right on the money! Toxic environment, toxic thoughts and toxic people can all lay you low, and especially all three together. Sadly, some of our most toxic relationships are within our nuclear family. If you can’t get rid of toxic people, you can surely cut your exposure to them. Thanks, Jackie. You’re right about limiting your exposure. When I removed some toxic friends from my life it made room for supportive and invigorating friendships. I truly believe I had to “make the room” in my life by getting rid of the toxic before I could have the friendships I always wanted. Good for you, Lori! You put off before you could put on! I’m glad you covered the tangible and less tangible aspects of toxins in your lives, Carol! Many people aren’t aware of them so they just tolerate them as they are. Removing the toxins from my household has been an ongoing process over the past few years, but I’m almost there. We’re almost completely organic with all of our products. Toxic thoughts and people from your life can be trickier – especially when they are family. Wonderful post! I’m currently trying to help my daughter realize that a new group of friends she met at a new job is quite toxic. 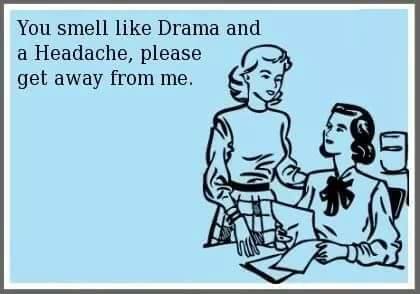 The whole group is so addicted to drama and I can see her stress levels rising. Not the easy to tell a young 20 year old; they need to see it for themselves, but I’m sure she will. Hopefully she learns before she gets hurt. After recent current events have stirred up so many emotions in people, I have sadly found myself in the position of having to let some so called “friends” go. It’s not that I don’t think everyone is entitled to their opinions but I will never be able to tolerate hatred. I’m sorry you were put in that position, Beth. Yep, we need to position ourselves to be successful and removing the toxic things and people in our lives will surely help with that. Great job on the blog, looks great! Toxins do indeed come in many forms! I’ve been working HARD to remove them from my life, in ALL forms that I can identify. It can be hard to identify toxic people sometimes, as they can parade themselves around as positive or helpful types… So, it can take time to see the truth. I’ve made a ton of progress, though 🙂 Glad to surround myself with a smaller circle nowadays, and my SSIC buddies! You’re right about the wolves in sheep’s clothing, Natalie. But it’s worth it to find them and remove them from our lives. Great reminders here of things that I already know but that I truly need to re-evaluate in my life again. Thank you! Hi, It is so true, removing toxic people in our lives will help us reach our goals and live a happy life. Thanks for sharing. Great article. I think people don’t realize the impact of toxic people on their health and well being. So true, Ginny. Glad you enjoyed the post.